Packing for a trip to Vietnam is more than just throwing everything that you think you need on your suitcase or backpack. There are a few things that you should consider before hopping on that flight, such as the time of the year of your trip, the season in Vibaetnam, the public holidays, the places you will be visiting, and most importantly, taking into account the Vietnamese culture. It is a responsible thing to do to keep in mind that respect should be one top of thing to consider, not just for a travel trip in Vietnam but everywhere. There is no dress code in Vietnam, but if you are visiting places that are sacred or religious, dress code will be strictly implemented. In this article of Vietnam packing list, we will discuss the things that you must pack to make sure that you will have a smooth, fun, and be ready on a trip that you will never forget. If your trip to Vietnam is a backpacking one, you may want to check this article for an in-depth post about everything you need to know. 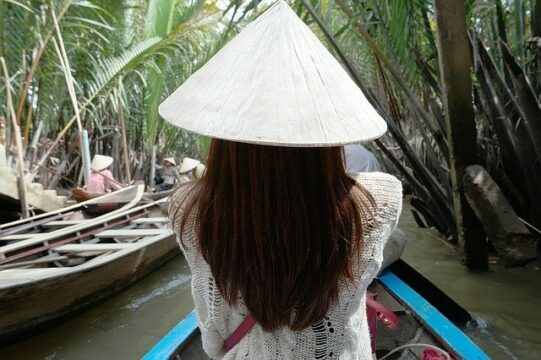 Either you are a woman traveller or a man and even as a family traveller, this article should be able to guide you on the essential things to take in Vietnam. From head to toe, emergencies, and of course the documents you need. No one wants to show up at the airport and not being able to fly. 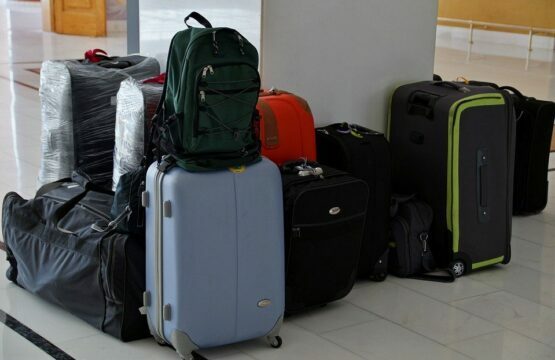 The first thing you need to keep in mind is to not overpack, it's not only inconvenient but can also be costly. Make sure that you only pack what you really need, stop the "just in case" motto. As long as you can keep your self-dry and warm, there is nothing that you can't be prepared for. Here are some questions that can help you write down a checklist so you can pack easier and most importantly, to make sure that you don't over pack. Which time of the year are you planning to go to Vietnam? Vietnam's geographic location makes the weather and climate a little more complicated. Rainy season can be very crazy, which is between May to end of October. While the warm months which is from the end of February to April is very hot. 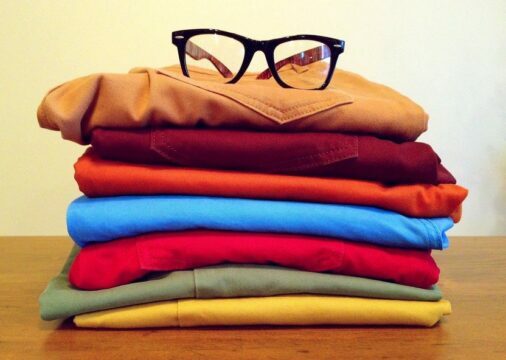 If you think that's it, well, to add more surprise, Vietnam has winter which means, a winter jacket is a must to pack. This leads me to the next question. Which part of Vietnam are you going to explore? Winter can hit very hard in the north of Vietnam such as Sa Pa, Lao Cai, Hanoi and other northern parts of the country. The temperature can drop to zero, while the houses don't have insulation system inside, resulting in the locals and tourist wearing their jackets inside their home. The winter starts at the end of January until the middle of February, it's not very long but it can be a pain if you are not ready. How long are you thinking to be travelling in Vietnam? Depending on how long you are planning to travel can definitely affect your packing list. If you will be caught in the middle of the season change, there is a reason to pack warm clothes, rain jacket, and waterproof shoes. You will also have to get a waterproof cover for your backpack. Which other countries are you going to after Vietnam? It's simple, if you are heading somewhere else after Vietnam, you need to check its climate and weather as well. What activities are you going to do? Anything adventurous such as motorbiking, hiking, water activities? Visiting temples and churches? If you are planning to hike, get the best hiking shoes you have, if you are going to do professional sports, it's better to pack your own gear for it. And if you are going to visit temples, make sure to pack appropriate clothing for places like that. Before we start packing, make sure that you have all these documents or else, no trip to Vietnam will be happening. Return ticket - when you land or enter Vietnam, it's not common for the immigration officer to ask for your exit ticket, however, if they do, you should have one ready. You can also tell them that you are crossing the border to Cambodia or Laos, which is acceptable. This is obviously a personal preference, backpacks are common and pretty easy and cheap to get in case you are planning to buy one here when you land. While suitcases are not a problem either, however, many streets of Vietnam are uneven and not properly done which makes towing one behind you can be difficult. It's also very rare to find hostels in Vietnam that have a lift to make a rolling suitcase life a little easier. If you don't have a luggage for your trip yet, you might want to check out these best-wheeled backpacks for this trip. You should remember that sizes can be an issue in Vietnam. shampoo, hair conditioner, body gel - you don't need to pack big sizes/bottles, they can be bought here easily and cheaply. Here are a few electronics and gadgets that you must pack both to keep you entertain and to help you with planning, during travelling, and to keep in touch with your family and friends back home. Pack only what you need - sounds easy but I understand it's not, with this, you should remember to forget about the phrase "in case I need this"
We hope that this Vietnam packing list article has been useful to you and we helped you packed the essentials without over packing. If you have any questions, drop them in the comment section below. DISCLAIMER: MOVE TO VIETNAM IS A PARTICIPANT IN THE AMAZON SERVICES LLC ASSOCIATES PROGRAM, AN AFFILIATE ADVERTISING PROGRAM DESIGNED TO PROVIDE A MEANS FOR SITES TO EARN ADVERTISING FEES BY ADVERTISING AND LINKING TO AMAZON.